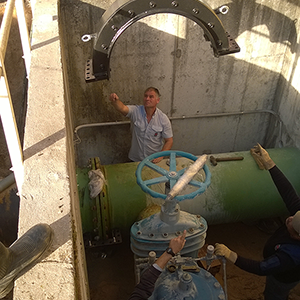 Last January, a leak was repaired on a flanged DN800 steel pipe joint, at the outlet of Santa marta do Pinhal Water Distribution Center reservoir, using Hawle Nova Siria equipment. The work presented as conditioning factors the need to performl the repair without disassembling the joint and without cutting the supply, besides having a clutter reduced by the density and dimension of the acessories involved in the node. However, the task was successfully carried out by using a special DUOFIT HAWLE NOVA SIRIA repair gasket, which allower a quick, safe and easy installation. The HAWLE NOVA SIRIA range of wide tolerance multi-material accessories/large diameters comprises adapter and non-antitraction fittings and flanges, straight and geometry repair joints, from DN300 to DN2000, allowing leakage repair at seals in the pipe. The flexibility and the most advanced methods allow the manufacture of measures outside the program, joints with reduction among others. 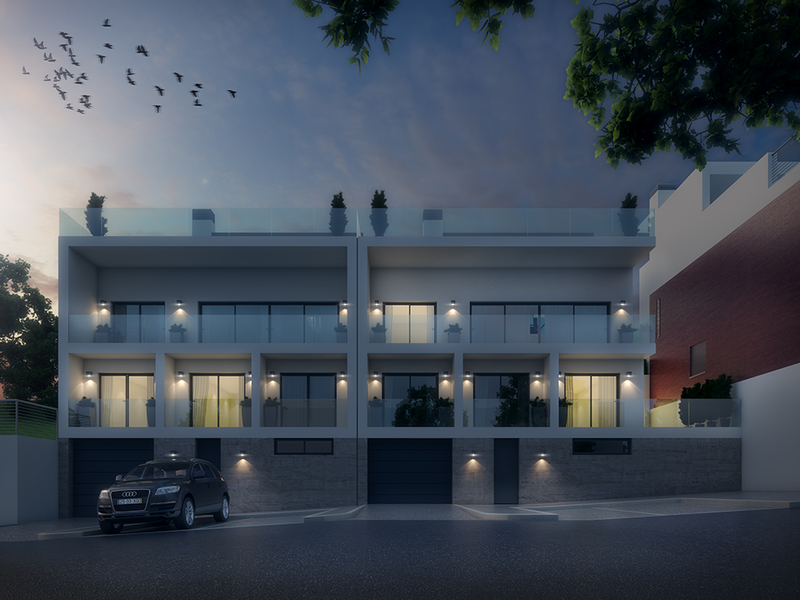 Sacramento Campos Projectos e Serviços has completed the project of 3 bedrooms houses in Restelo, Lisbon. The main floor is occupied by the social area - kitchen, living room and service bathroom, with large glazed spans and balconies facing the southwest and taking advantage of the views. The middle floor receives the rooms, which have spans and balconies also facing the Southwest. On the lower floor is located the technical area and garage. The roof terrace is accessible from the living room, which improve the social area of the house, the sun exposure and system of views. TITO e CAMPOS has launched Elements Mosaic, a new brand of glass mosaic centred on the four elements: Water, Earth, Fire and Air, which stand for the four existing ranges. Aimed at the private residential sector, the public sector and hotels, for both interior and exterior projects, Elements Mosaics’ offer is made up of several mosaic “mixes” chosen by TITO e CAMPOS according to the Portuguese market’s needs, tendencies and demands. TITO e CAMPOS was at the latest edition of Tektónica – International Trade Fair for Construction and Public Works, at the Lisbon International Fair Venue (FIL) in May. Being at this fair gave TITO e CAMPOS the opportunity to showcase and promote Elements Mosaic, which gathered quite a bit of interest from the many visitors.